Sunalta was one of the earliest established communities in Calgary. 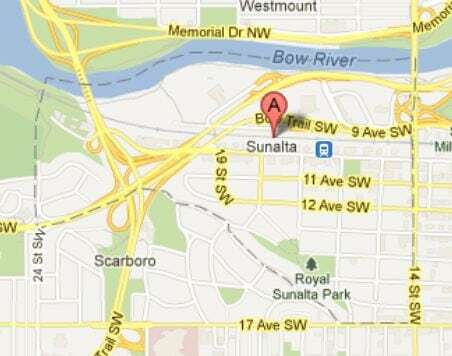 Founded in 1912, Sunalta is located directly west of the downtown Calgary core. Its name was likely a derivation from the two words Sunny and Alberta (this is true!). Over the years Sunalta has diversified its residential profile dramatically. During the 1950’s, the City of Calgary took action in redeveloping the area to include more walk up apartments and condos. Today, Sunalta is host to a well balanced mix of detached single family homes, apartments and condominiums. Living in the inner city means ample access to a full-spectrum of nearby amenities and services, and Sunalta is of no exception. The inner city community has quick access to a number of amenity avenues like 14th Street SW, 17th Avenue SW, is very close to Kensington and is adjacent to downtown Calgary, which itself is home to over 1000 businesses. With such a vast selection of nearby amenities and services, Sunalta offers its residents the opportunity to live a walk able lifestyle if they choose. Recreational opportunities are also abundant. One of the most favourable characteristics of the inner city community is its adjacency to the Bow River. Experience some of Calgary’s best outdoor leisure and recreation using the extensive network of parks and pathways found on the embankments of the Bow River. Travel northwest to Edworthy Park, Shouldice Park and beyond, or head east to the downtown Calgary core, Prince’s Island Park, Eau Claire Market, the Elbow River, East Village amongst other places. The choice is yours when living in Sunalta. Designated public schools for Sunalta are found within or very close to the community, which is always a huge bonus for those with kids or who are planning to have a family sooner than later. As an inner city community in Calgary, Sunalta has an abundance of public transportation services found within including a new west LRT Terminal soon to be operational and multiple bus stops and routes. For those working in downtown Calgary, getting there is but a short walk to the Sunalta LRT Terminal (once operational), and if it’s another destination in Calgary you need to get to, you can easily do so by transferring to the applicable train route at a downtown LRT terminal. Questions about Sunalta Real Estate? Get a hold of me direct at 403.370.4180 or by using the form below – I am looking forward to helping you accomplish your real estate goals!